Art Deco design is a historic look which is certainly here to stay. 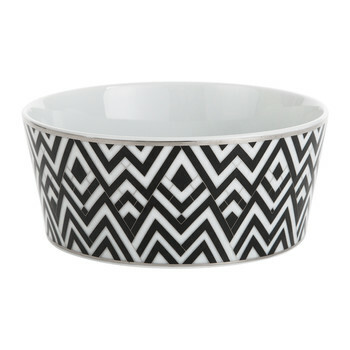 Synonymous with the 1920s era, Art Deco design has had a resurgence in recent decades and influences of this style can be seen in many modern trends from industrial luxe, to geometrics and monochrome patterns. 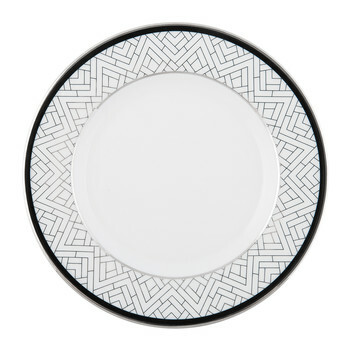 Art Deco table settings are a fantastic way to add a hint of the glamorous design without having to overhaul your existing decor. 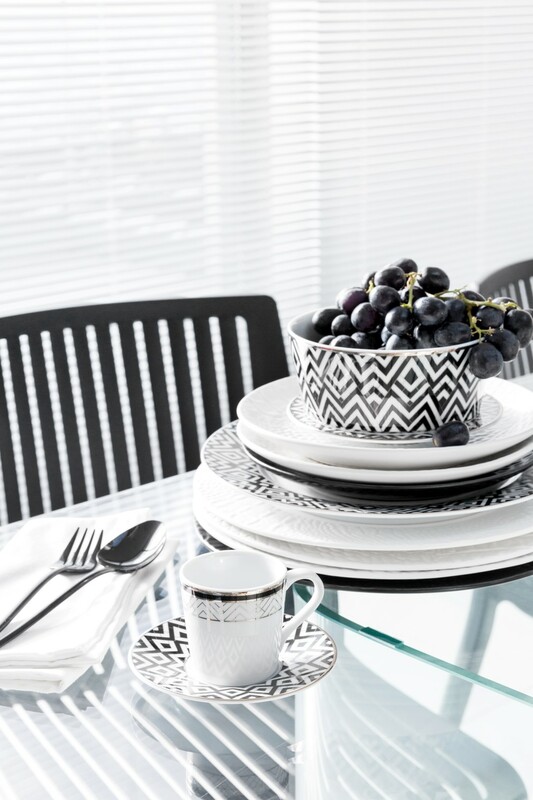 They allow you to be bold with pattern to create a statement dining table look, which lends itself to both fine and everyday dining settings. 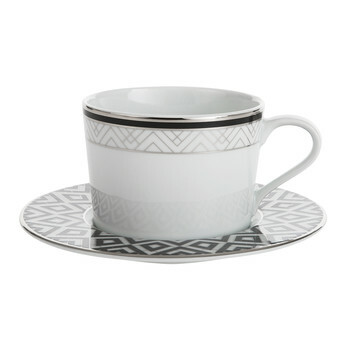 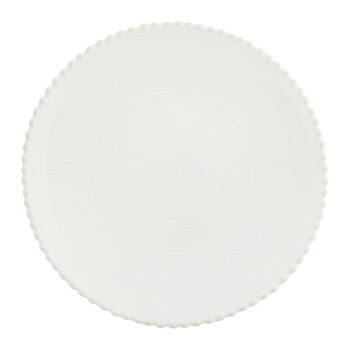 Once you have your patterned tableware, look to complementing cutlery to finish the look. 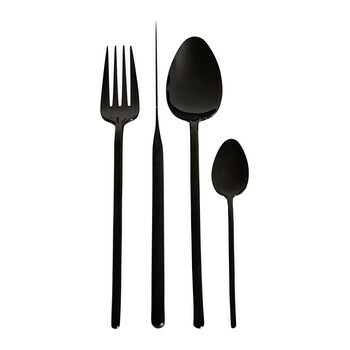 Art Deco dinnerware is fantastic paired with either contemporary flatware with striking lines like the statement black set in the image above, or if you’ve chosen a monochrome colorway, gold flatware is an opulent contrast to the minimalistic black and white. 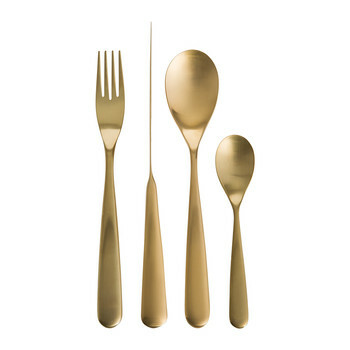 As mentioned above, gold flatware is an opulent addition to any table setting and is a look which is set to be huge this year. 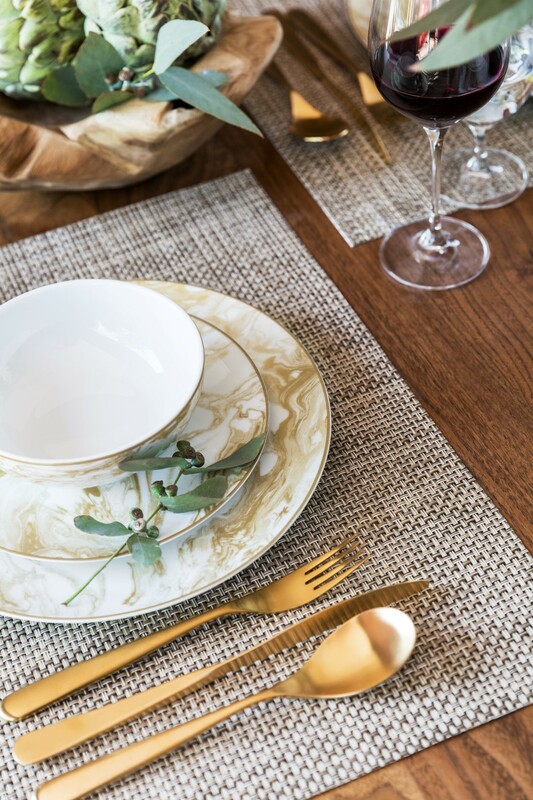 Our love for warm metallics is still spreading throughout the entire home and has moved on from rosy copper to gleaming brass and gold hues, which effortlessly transfer to the dining table. 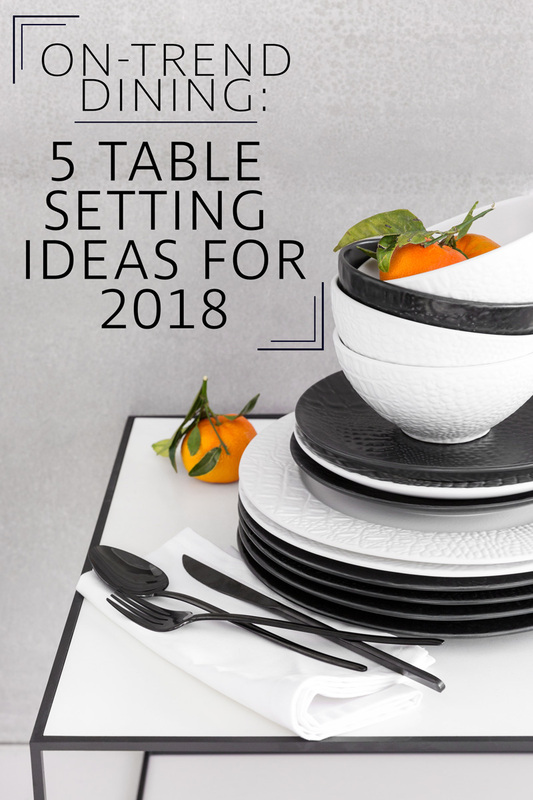 If you are searching for luxury table setting ideas, look no further than this trend which will add opulence to any meal. 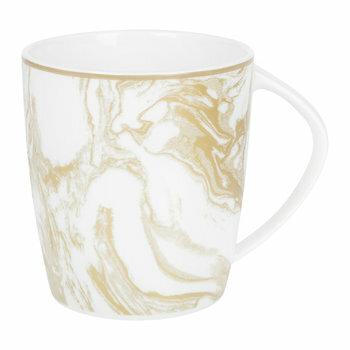 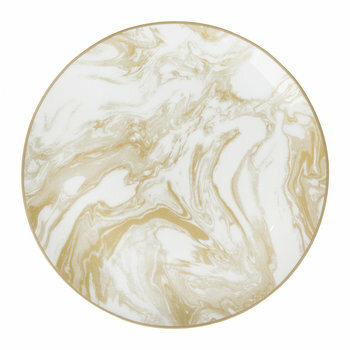 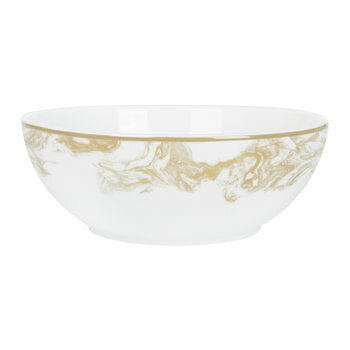 Combined with other luxury materials and patterns such as the marble dinnerware seen above, gold table settings can be easily layered with other colors to add to the vibrancy of the look. 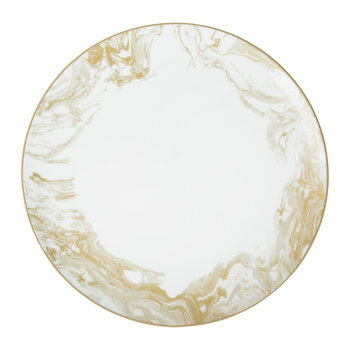 Alternatively it can be pared back with earthy or leaf tones for a wonderfully natural feel with just a touch of sparkle. 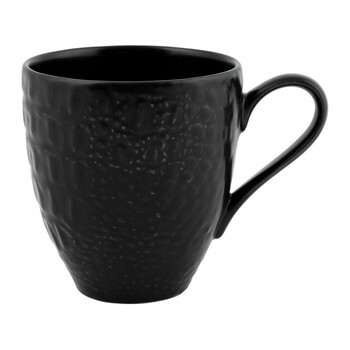 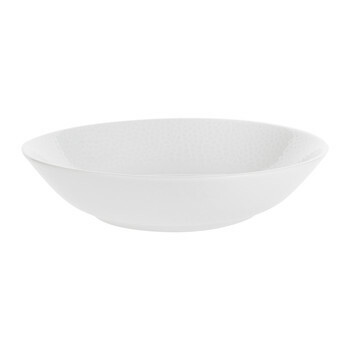 Textured home accessories have been prevalent in many refined interiors over the last year and the raised and embossed patterns are also making waves in the dinnerware industry. 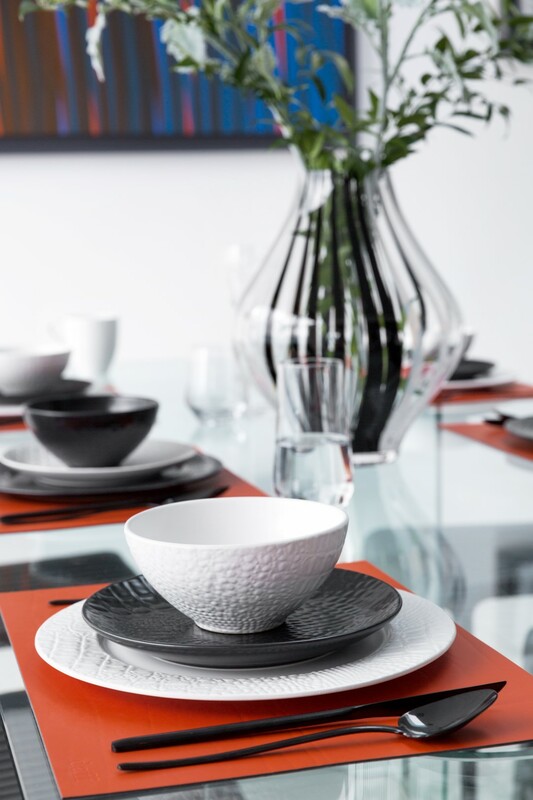 From fabric inspired ridges to mock-crocodile skin patterns, textured dinnerware is best in block colors to really let the raised designs shine and dependent on the pattern can have a luxury or laid back feel. 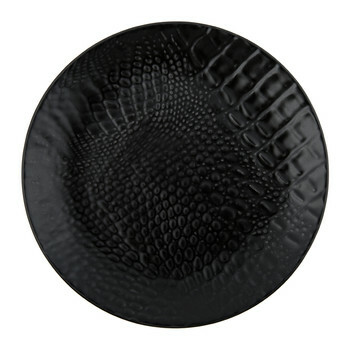 Animal inspired relief designs such as crocodile, snakeskin or even shagreen are perfect for occasion table settings where added drama is needed, these patterns can be paired with statement modern cutlery designs for the ultimate in sophisticated dining settings. 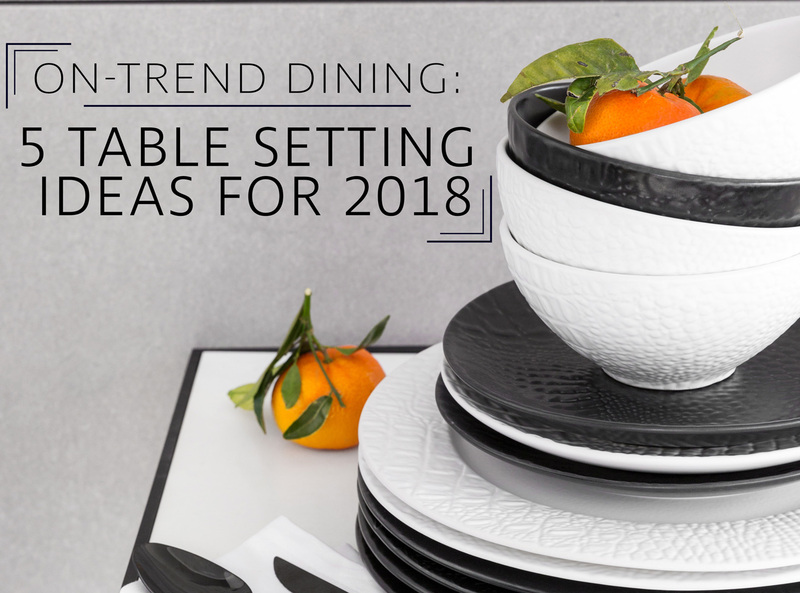 The more relaxed textured patterns such as tile motifs, fabric inspired designs and tactile ceramic finishes, benefit from more traditional flatware choices which will create a classic everyday dining look. 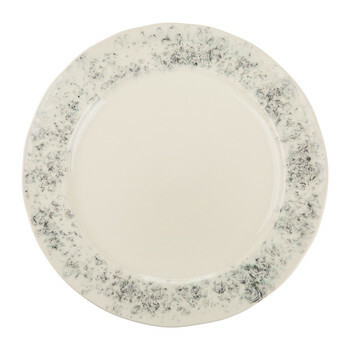 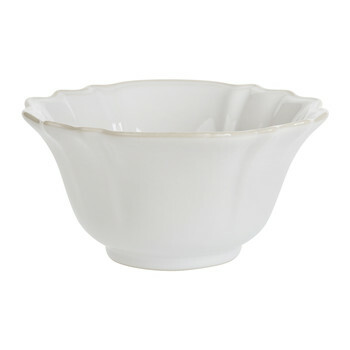 Rustic dinnerware is a look that will never go out of style, reminiscent of sprawling country houses and lazy summer evenings spent in the garden it is a classic look for any table setting. 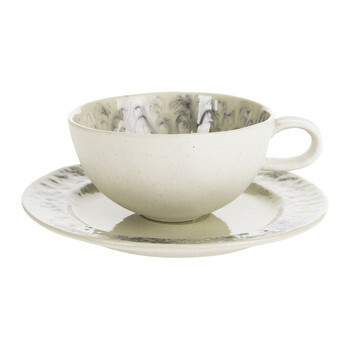 Rustic table settings are all about laid-back aesthetic appeal, so think soothing colors with delicate flourishes like the soft grey edges in the image above. 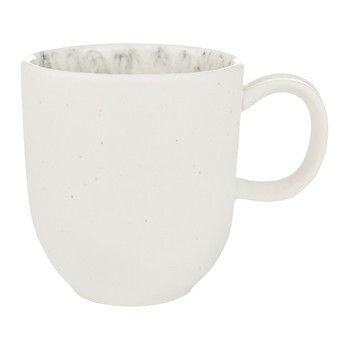 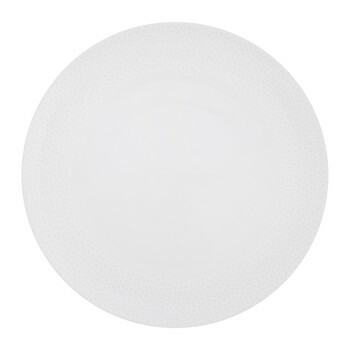 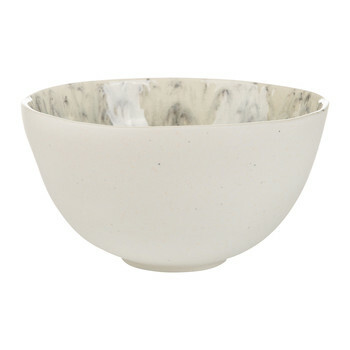 As mentioned earlier with textures, different ceramic effects can also make for interesting dinnerware designs such as unglazed surfaces or crackled finishes, both of which will add instant rustic charm to the table. 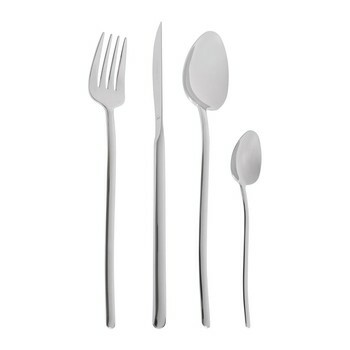 For rustic flatware, opt for more traditional styles which will complement the dinnerware. 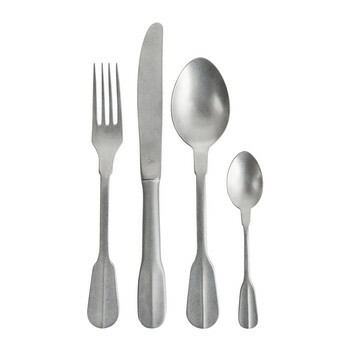 Vintage flat end flatware is ideal if you are looking for rustic table setting ideas and flatware with brushed finishes are also perfectly suited to these settings rather than contemporary mirror polished designs. 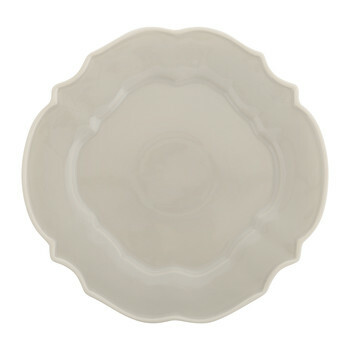 Our love affair with French interior design ranging from the ornate chateaux style, to vintage shabby chic never wanes. 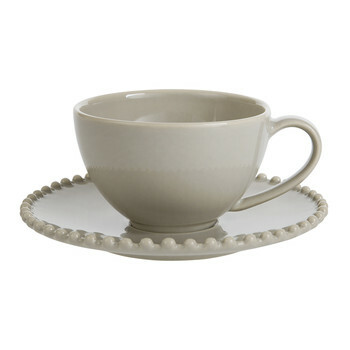 Still a popular look in the home, French table settings are reminiscent of good food, fine wine and great company which is perfect for dinner parties. 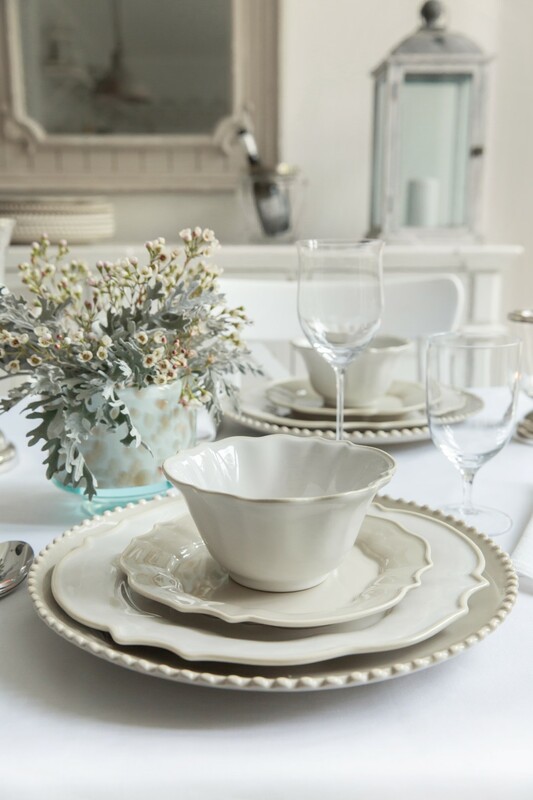 In white, taupe or pale blues, French inspired dinnerware should be simple yet elegant like the set above with its delicately shaped edges. 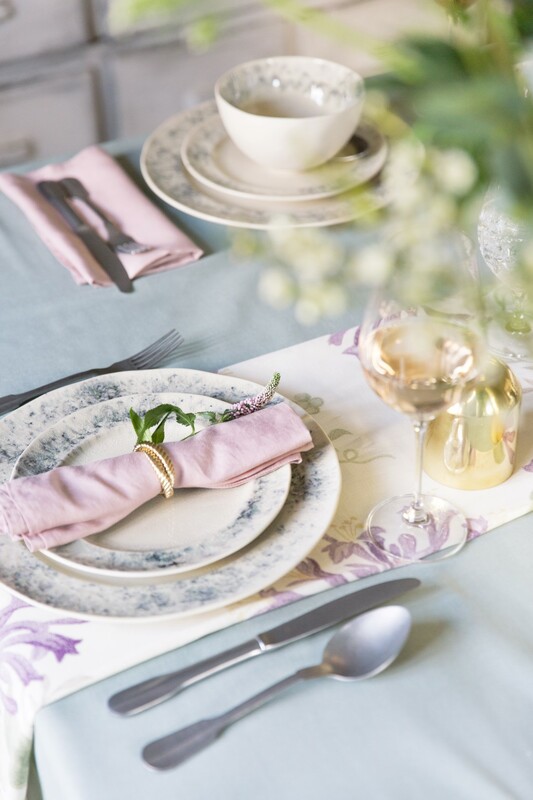 Teamed with dried flowers and modest water and wine glasses, you can create a timeless look for any occasion from everyday meals to glamorous soirees. 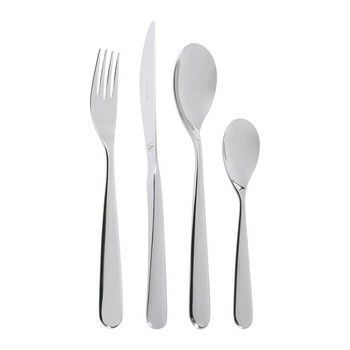 Flatware should again follow the simple yet elegant theme in classic silver hues which will complement the cool tones of the dinnerware to give your French table setting that certain je ne sais quoi.